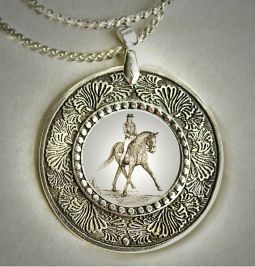 Dressage Horse pen & ink drawing set into stunning pewter. 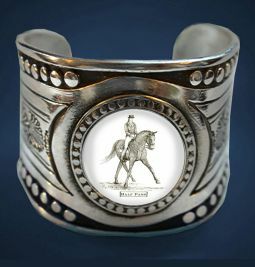 See matching cuff and pendant below. Handmade in the USA. Certified food safe pewter.